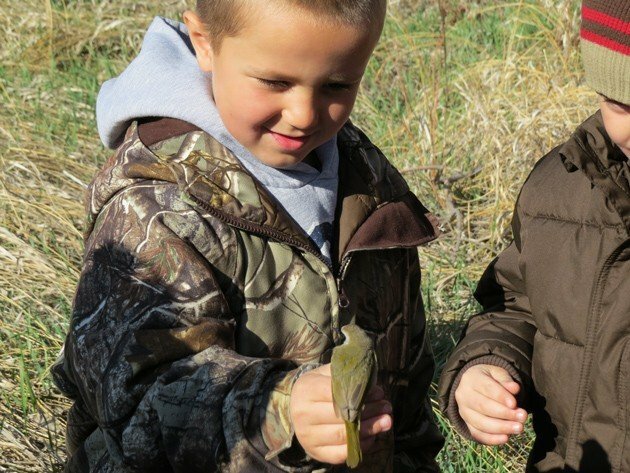 Do you remember growing up as a young birder? I began my first notes in the margins of the first field guides my grandmother bought for me. I knew few adults to encourage my interests and fewer young kids near my own age to hang out with and talk birds- let alone actually go outside with and go birding. In fact, nearly all of my early years were spent slowly developing my skills on my own. What do you think: would you have developed faster and developed better skills or habits if someone older would have encouraged you and provided training and resources at a very early impressionable age? I met such a person and saw an opportunity to help birding and help build appreciation of teachers through my work. 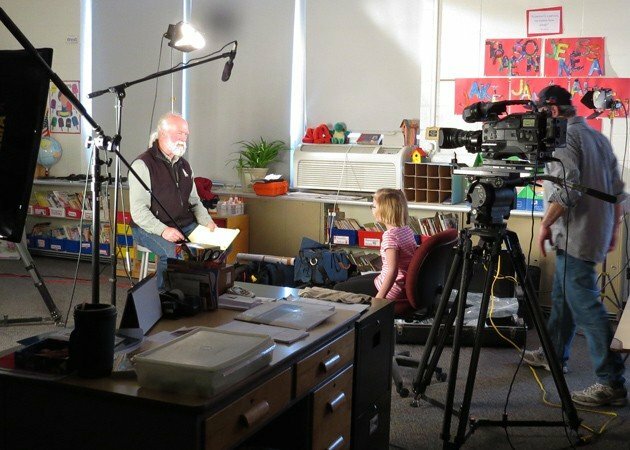 I began a program for PBS on a group of young kids in a small town in South Dakota. There is no funding for this kind of work so I take from one pocket and depend on the generosity of others too. On Mother’s Day, an F2 Tornado hit the small town of Delmont, South Dakota. In the grand scheme of things, this is just a small town and only one person was killed due to injuries suffered. 84 homes were destroyed so it was minimal in many ways and I am thankful for that. But this also struck me in other ways. Why am I so concerned about this small town? Shouldn’t I be much more worried about people in a catastrophe the size of the F5 that hit Joplin, Missouri? 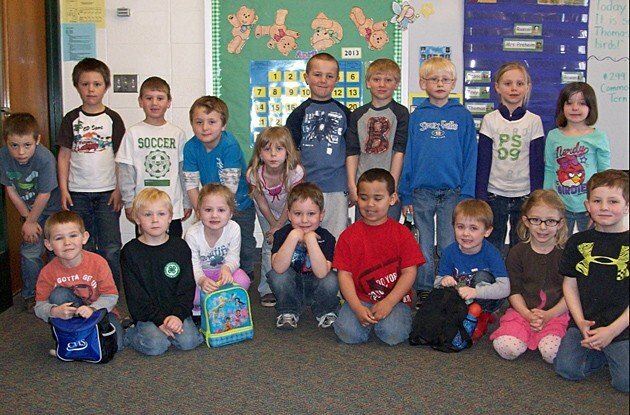 About 4 years ago, I met a kindergarten teacher in Armour, SD, about 10-12 air miles away from Delmont. Kelly Preheim was talking about the large numbers of Snowy Owls on the nearby National Wildlife Refuge. In passing, Kelly happened to mention that she was preparing and planning how to integrate her relatively new found love of birds into her curriculum. I asked her to keep me appraised of her progress. She did. 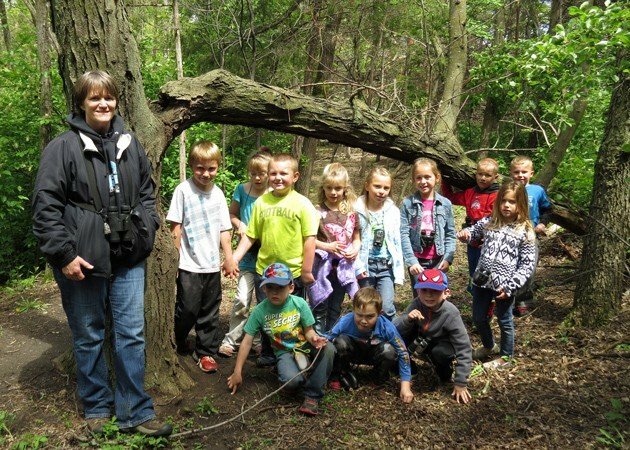 The next spring she reported that her first class was doing very well and were able to rapidly identify nearly 200 species. That blew my mind. I decided a different kind of show was possible for our upcoming PBS series and drove down to meet the kids and begin to see what was going on there. Dr. Dave Swanson was banding and the rest is history. Now three years later, we (Jason Kessler and I) have filmed 3 classes of little kids as Kelly has advanced her skills to get her kids learning bird songs and calls along with the most recent class having surpassed 430 species visually. 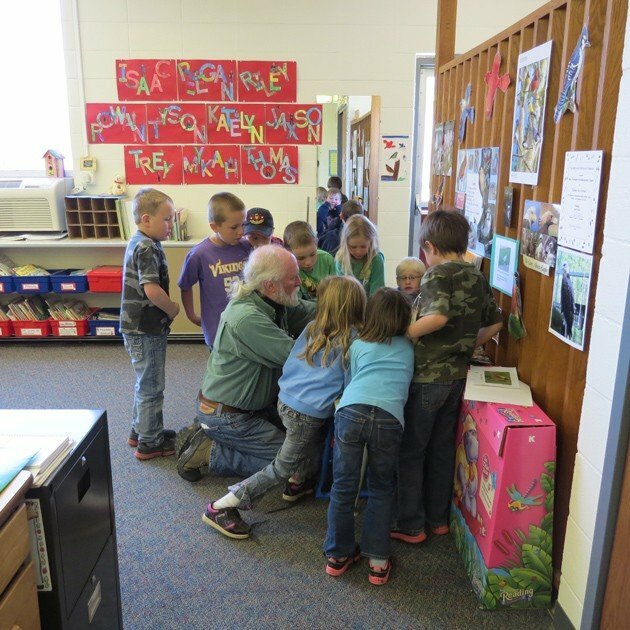 She just has found a great key to unlocking young children’s enthusiasm for birds as well as applying this to lessons in math, reading, writing and problem solving. I don’t think we did anything other than take naps and play when I was that age. Back to the tornado: Four of these remarkable young kids were directly affected by the tornado; 3 of them lost their homes and everything in it. My sense of these youngsters is that none were or are wealthy to begin with. I rushed down to aid with what I could give, taking several spare bird books, DVD’s, bird T-shirts and Birdman Productions hats along with 2 pairs of my “extra” binoculars. The devastation is exactly what you would expect after a tornado. Chaos and insulation. There were 23 cows killed; some had to be shot up in trees where they were stuck. Reegan, Tyson, and Samantha lost their homes entirely. James home survived and will not be bulldozed. All of the kids in the school were shaken. The teachers did a great job of restoring a sense of stability and just providing hugs when that was what was needed. Kelly and I went through everything I brought and rejected my one pair of 10x42s as too beat-up. So I had one pair to give. I gave Reegan my old pair of Bushnell Elite 8x40s. Tyson looked forlorn and Samantha had moved to her Grandparents house in Nebraska, at least for now. James is OK and his home is at least relatively intact. All these kids need is to be supported for a few more years and they are going to be birders for life. I asked two companies to help. The first- who are supposed to be sponsors of what I do, sent me a doctored form letter. The second responded as I would- with immediate concern and compassion. Ben Lizdas at Eagle Optics provided immediate assurance that they would do something. You can’t imagine how deeply that hit me. In fact, Eagle Optics did more than they initially suggested they would. They are sending 4 pairs of binoculars for the kids!!! Kudos! Thanks!!! Enormous Gratitude to them. They did the right thing. So if you are in a position today to help someone or a bird, please do. But the kids in South Dakota are going to be ok now. The rest of the needs are being met along the lines of food. clothing and shelter. The parents and community are doing their best to pull it together, but the kids can now have an important need filled that otherwise might have been missed. 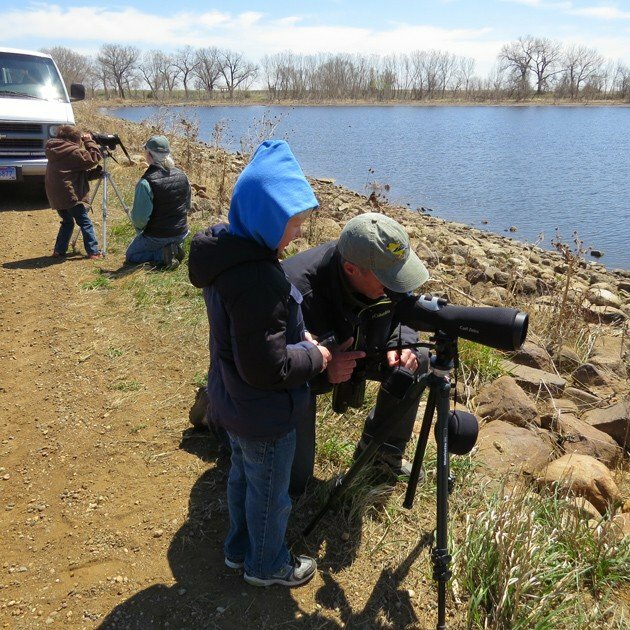 It is wonderful when birders can help grow not just the sport, but the deeper parts of birding too. This is a wonderful web of life that we live within, intricately balanced and interwoven. Birds can bring people to a new understanding of nature and how we need to fit in to that bigger web. My suggestion is to take a look around you: take some time to see who and how you can help others to an understanding of our beautiful world around us through birds. Perhaps you can find a project to contribute to or a classroom full of young minds to help guide. An inspiring story that every birder should read. Hooray for Tim for responding so quickly to the children’s tragedy and hooray for Ben and Eagle Optics for stepping up and giving immediately.